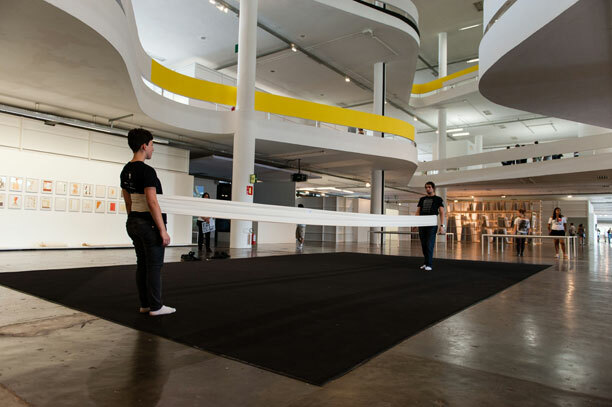 Sebastian Preuss writes about the Germany participation in São Paulo Biennials for the Blog Arquivo Bienal. 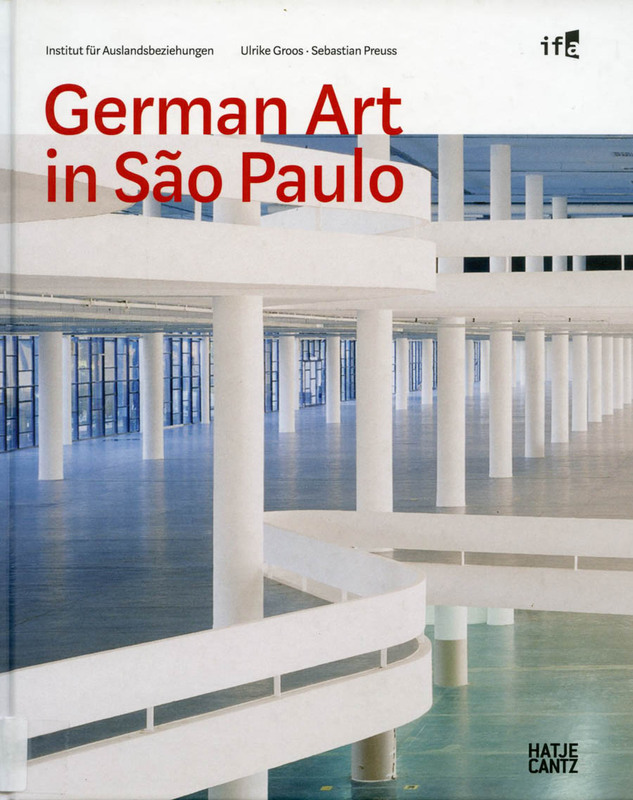 It was officialy launched in December 2014 the book German Art in São Paulo, by Sebastian Preuss and Ulrike Gross. 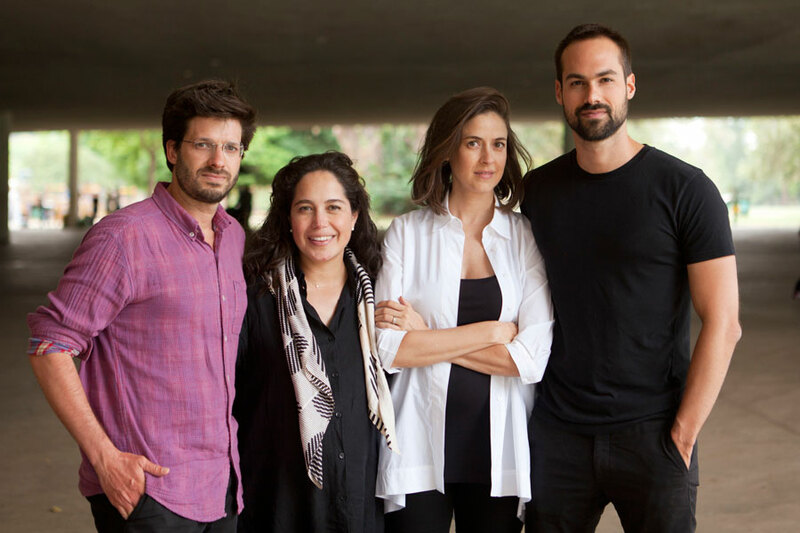 In 2012 the authors have done an extensive research in the Archive about Germany participation in all São Paulo Biennials. 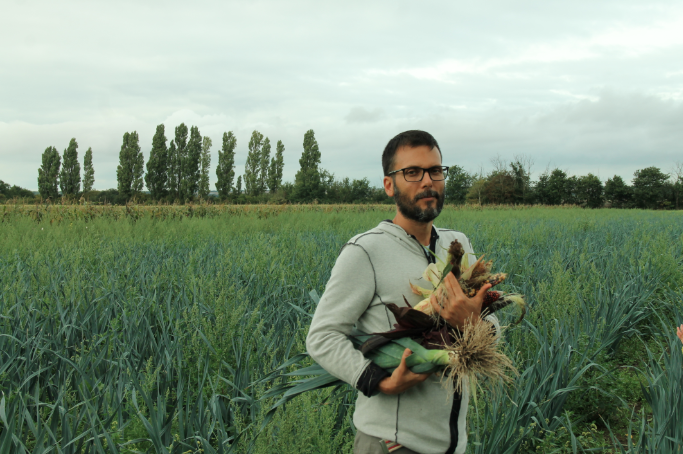 Below, Sebastian Preuss writes about the book for our blog. In 1951, two years after the foundation of the German Federal Republic, the young democracy was keen to make international cultural connections as well as to seek integration into the global community. Back then, many countries treated Germans with reservation, or even refused their friendship because of Nazi crimes. 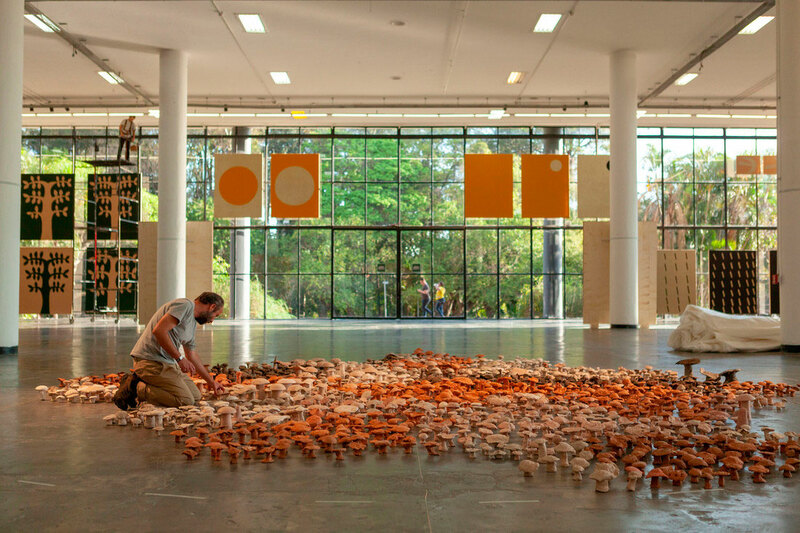 From the beginning, the Sao Paulo Biennial was of great importance to the Foreign Office in Bonn and big budgets were allocated for its entry. This can be clearly seen in the archive records of the Foreign Office. This was certainly connected to the fact that many Germans had emigrated to Brazil since 1824, especially to the South of the country, where they have a strong presence to this day. Above all however there were tangible economic interests, that the arts were intended to support. During the 50ies German enterprises were heavily involved in the rapid rise of the Brazilian economy. Volkswagen do Brazil was founded in 1953, followed by Mercedes-Benz as well as, over the years, almost all big German industrial concerns. Approximately 1300 German enterprises have subsidiaries in the city today. The Cultural Department of the Foreign Office was directly responsible for the German entry in Sao Paulo. The Foreign Office usually followed the recommendation for the appointment of the commissioner by an independent art committee. Since the 12th Biennial in 1973 The Institute for Foreign Relations (ifa) in Stuttgart has been in charge while the Foreign Office has continued to cover all costs. The ministry's civil servants kept close watch over all proceedings. 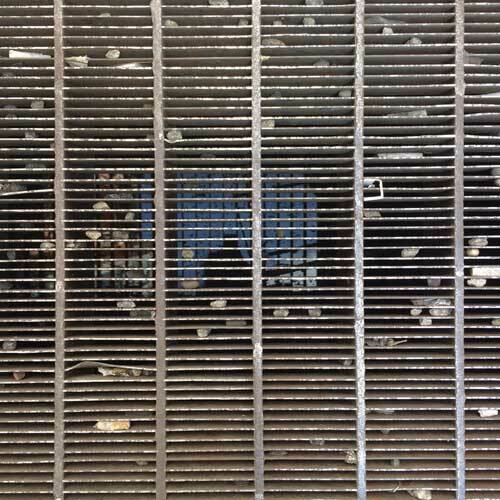 They demanded reports from the commissioners and the Consulate General in Sao Paulo, meticulously checking the expenditures and reserving the right to sign off budgets. As far as can be deduced from the records they never interfered with the concepts of the curators (commissioners). 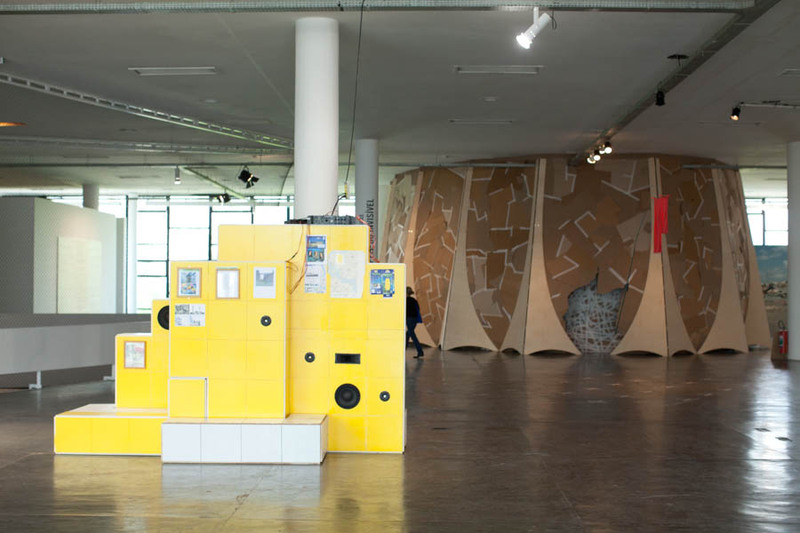 Germany hall at the 4th Bienal. 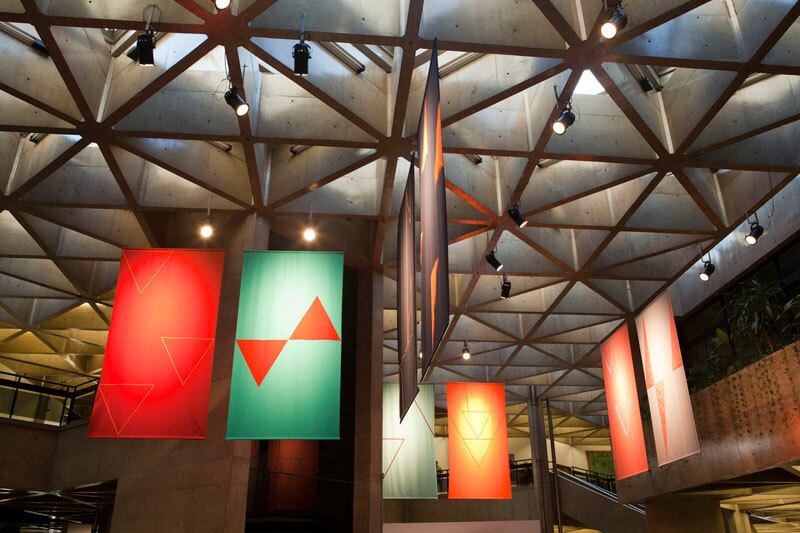 On the left, sculpture by Max Bill, in the back Moholy Nagy and on the right Josef Albers. (1955). ©Unknown author. 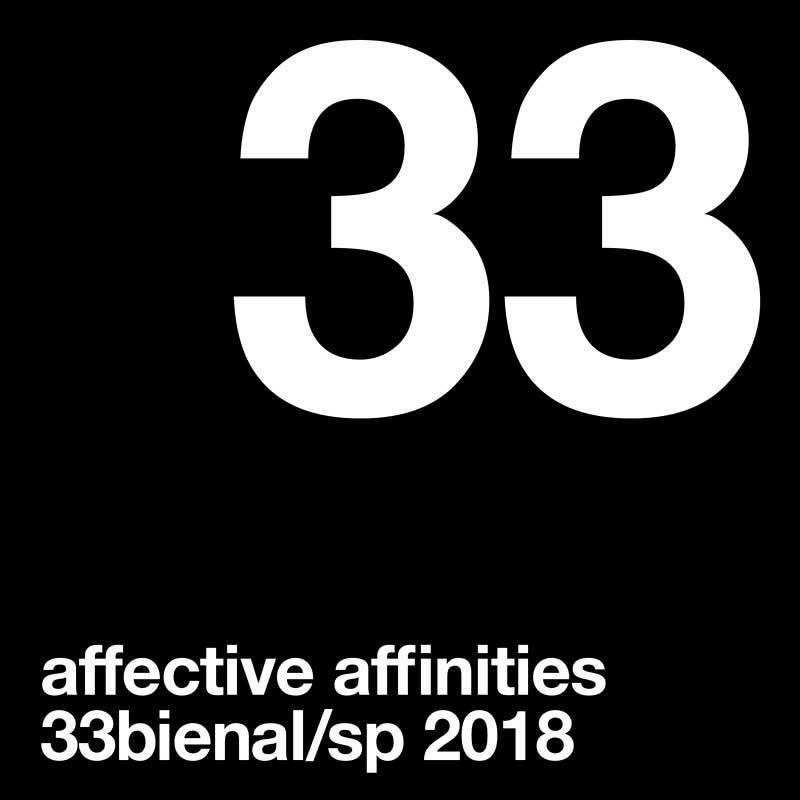 The centrepiece of our book, however, is the detailed documentation of each individual Biennial from its foundation in 1951 up to the 30th edition in 2012. What was each respective German commissioner’s concept? 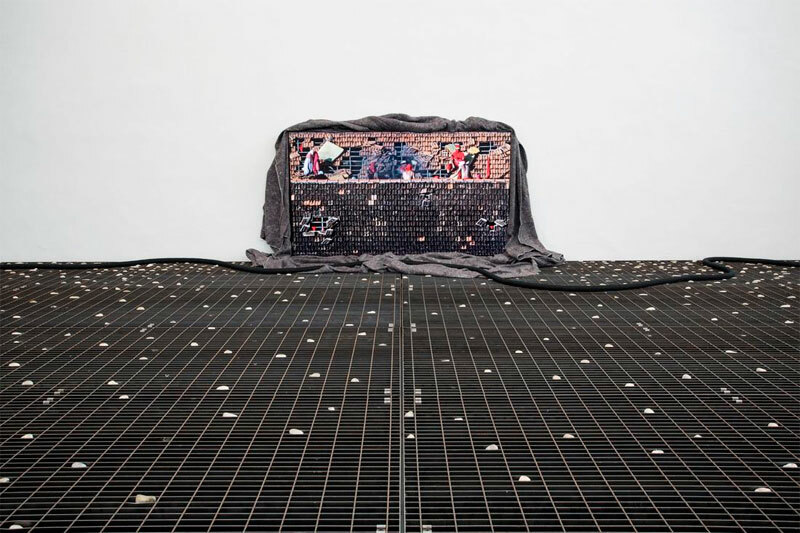 How did his selection of art works fit into each Biennial and it’s premise? What was our process? Apart from the special catalogues that were published by Germany for almost all Biennials, our richest source was the archives of the Foreign Office in Berlin. Above all the detailed reports that were sent to Germany by the Consulate General provided us with lots of information. The Biennial archives were another important resource where we found countless photographs and press articles. Equally important, if not more abundant, were the countless conversations, phone calls and correspondences with curators, artists and their heirs. 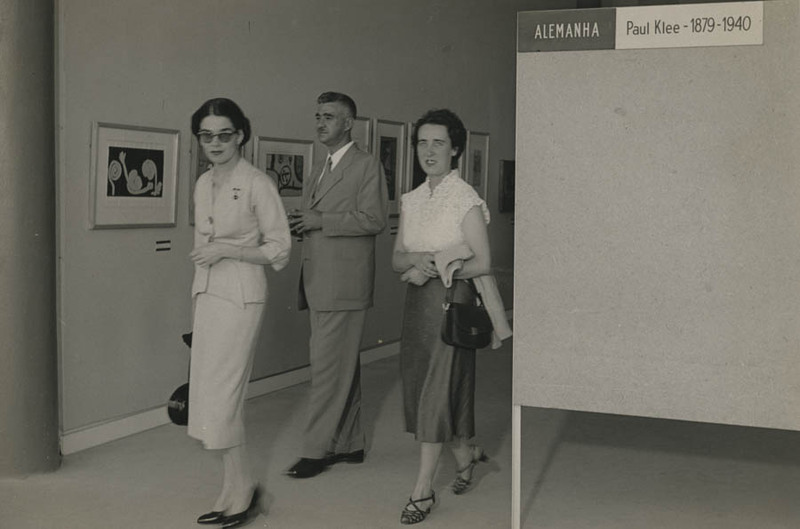 Lucas Nogueira Garcez, the governor of São Paulo, leaves the German Klee hall at the 2nd Bienal (1953-1954). ©Unknown author. 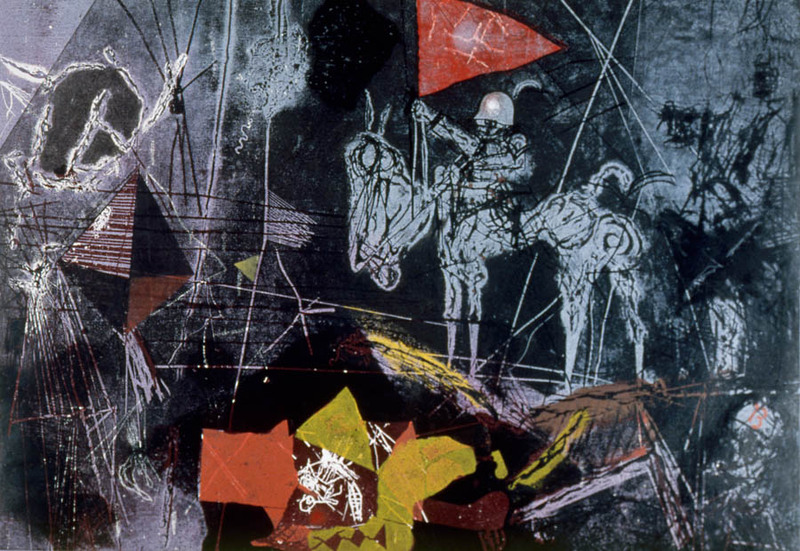 The first ever-Biennial entries celebrated art history predating Hitler’s seizure of power, the rehabilitation of the modern movement labelled as degenerate by the Nazis, as well as the cultivation of the universal language of abstraction seen as a universal formal vocabulary of the free world. Following special exhibitions about the Bauhaus, expressionism, Schwitters, Beckmann or Klee – while always in dialogue with younger, contemporary artists - the German commissioners have been focussing on the contemporary art scene since the 60ies. Quite a few of the contributing artists are forgotten today, some justifiably and others wrongfully. 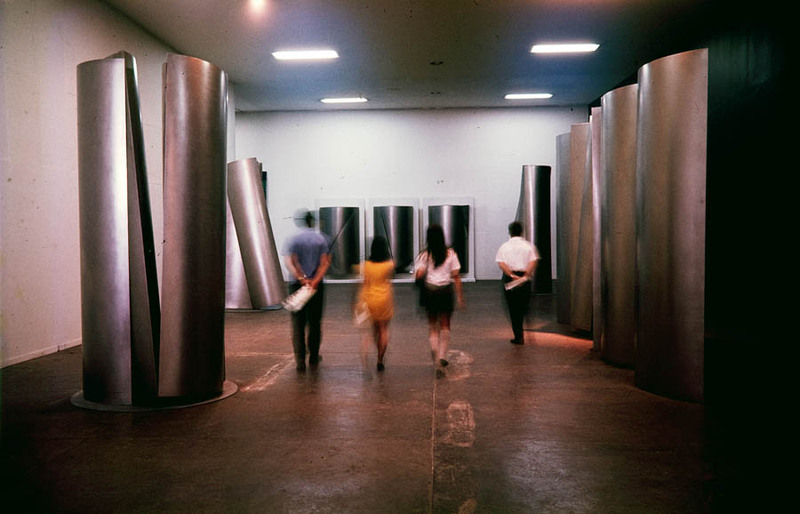 Erich Hauser’s installation view – 10th Bienal (1969). ©Unknown author. 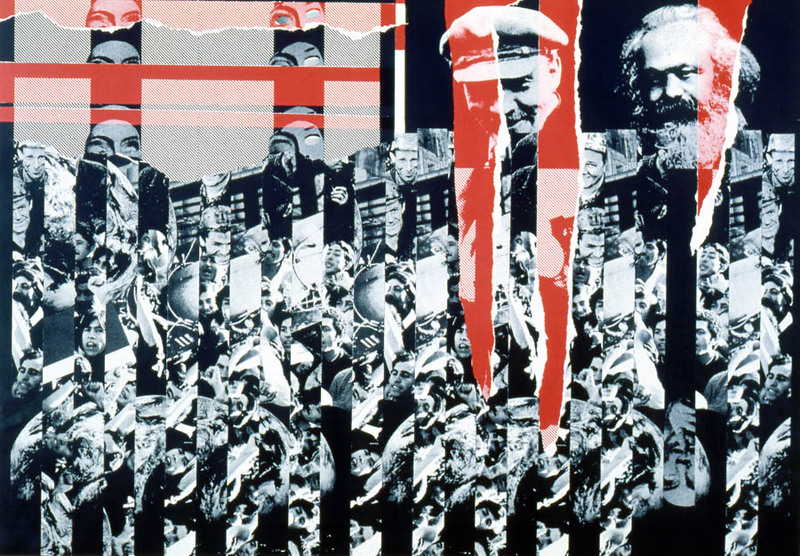 During the 70ies and 80ies the first wave of West German artists to establish themselves internationally was presented at Sao Paulo – Georg Baselitz, Palermo, Sigmar Polke, Markus Lüpertz, Anselm Kiefer or Joseph Beuys. They presented the art scene of a country that had been dealing with the Germans' Third Reich guilt in a self-critical and unblinking way. Anselm Kiefer impressed in 1987 in Sao Paulo with his large, multi-part, mythical paintings. 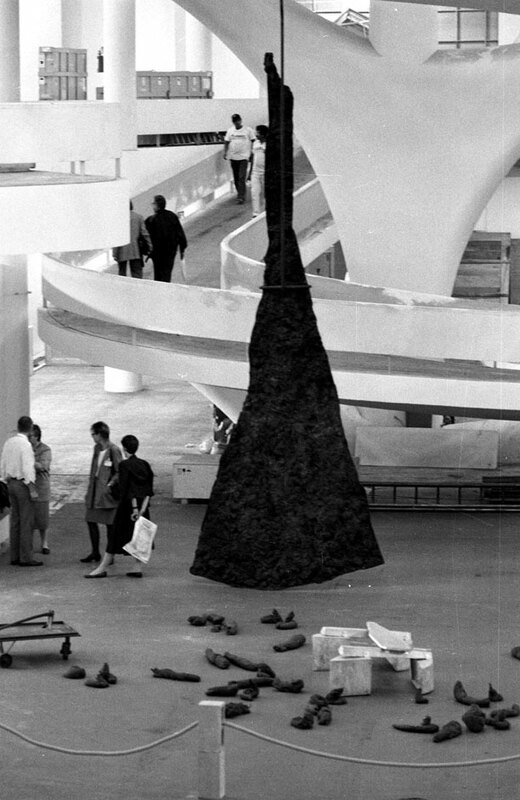 Heavy, and straddling seven meters across, they were to be seen from everywhere in the Niemeyer-Pavilion so that from then on no one spoke of anything other than the ‘Bienal do Kiefer’. 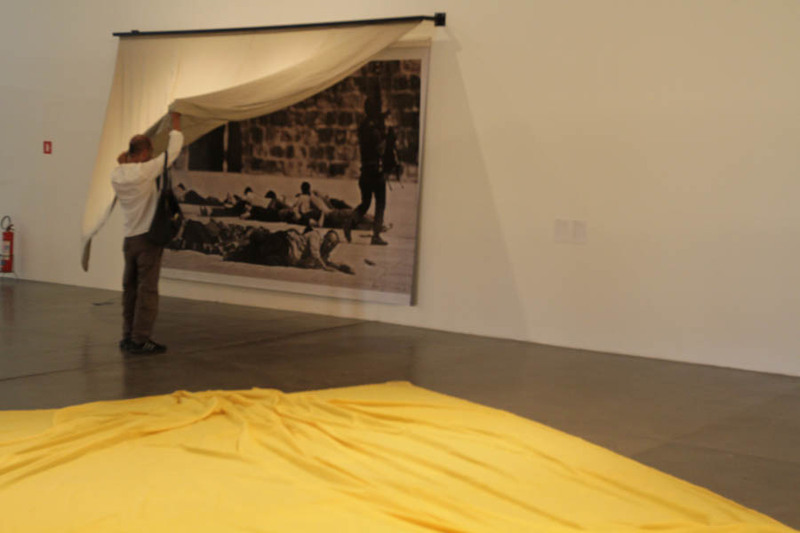 Sigmar Polke was also artistically inspired during his stay in Sao Paul. He creased and chemically manipulated photographs he took of drunken, kissing men in a gay bar in Centro, creating dim and alienated ghostly images. 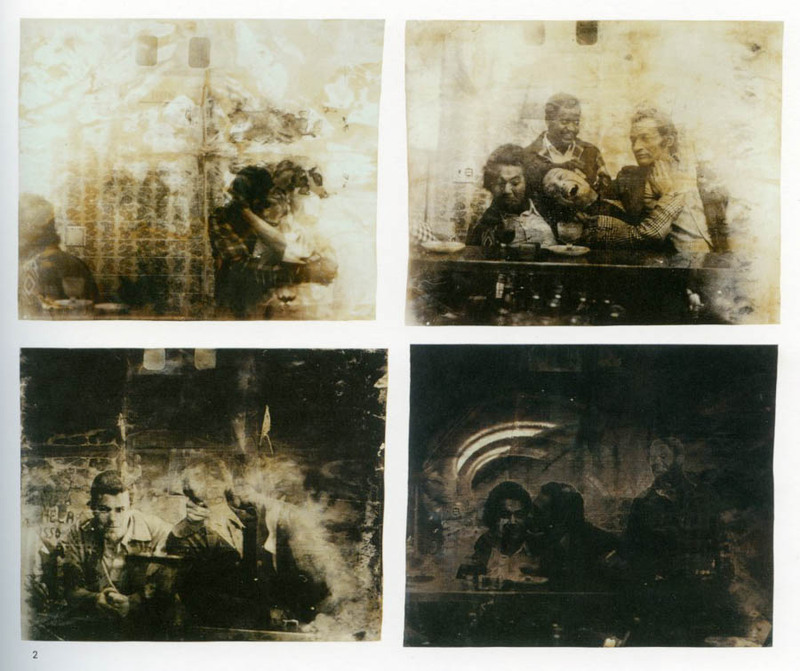 Sigmar Polke, aus der Serie São Paulo, 1975. 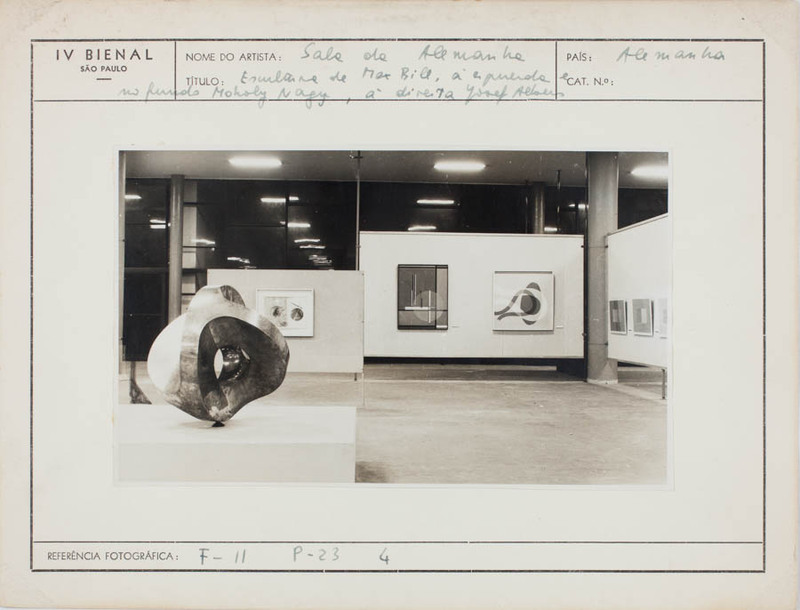 13th Bienal (1975). Image extracted from the book German Art in São Paulo, p.181. Since 1977 the Brazilian audience was presented with entries from two Germanys. 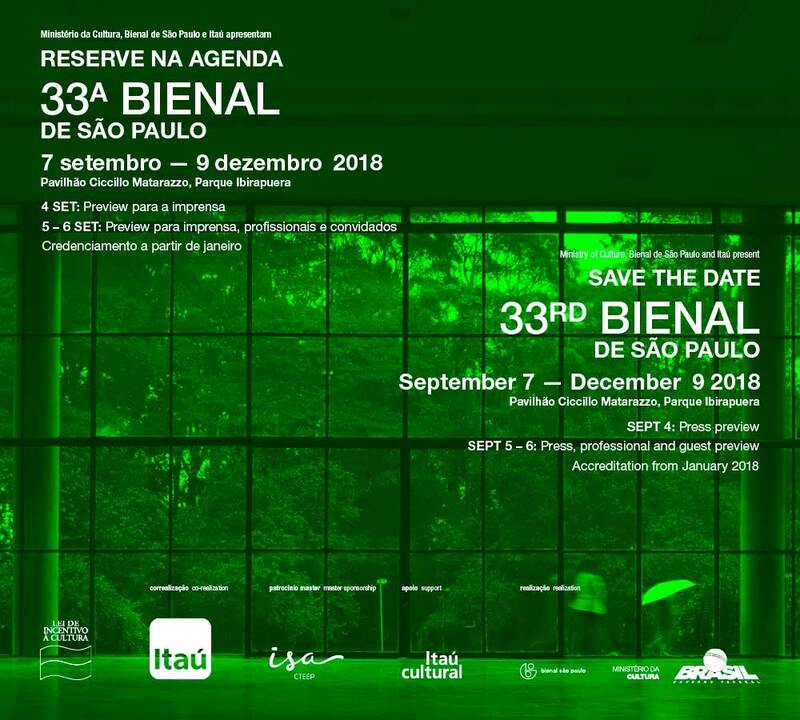 The GDR entered the Biennial in Sao Paulo. And this, [PAUSE], five years before they participated in Venice for the first time. Yet East Berlin didn’t appoint a commissioner, as the travel costs were too prohibitive. In contrast to the Federal Republic, the GDR did not regard its entry in Sao Paulo as a prestige project. In any case, it was not socialist propaganda art that was sent to Sao Paulo. The far away Biennial was one of those grey areas in GDR culture where some things were possible as long as they didn’t end up in the public limelight. 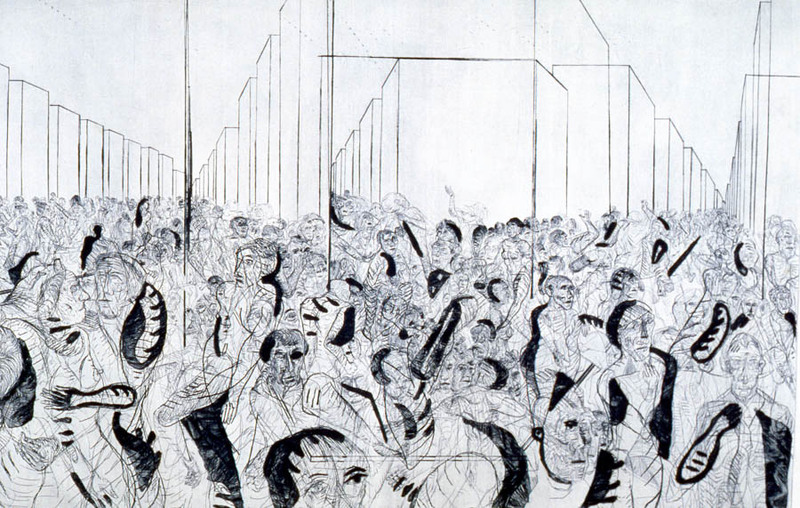 Skilled curators selected artworks for Sao Paulo that portrayed a worldview full of irony. If you were to read between the lines, there was a great deal of criticism about the conditions in the socialist state to be found. Ingo Arnold, Wesswn ist die Welt?, 1982 / Gerd Mackensen, Nur ein Fahnenträger, 1982 / Andreas Dress, Die Stadt, 1980. 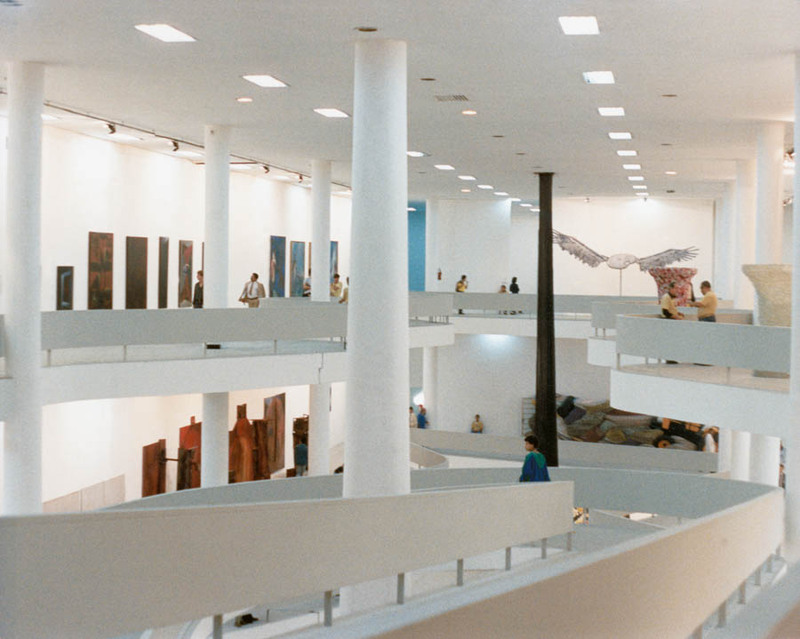 17th Bienal (1983). ©Unknown author. 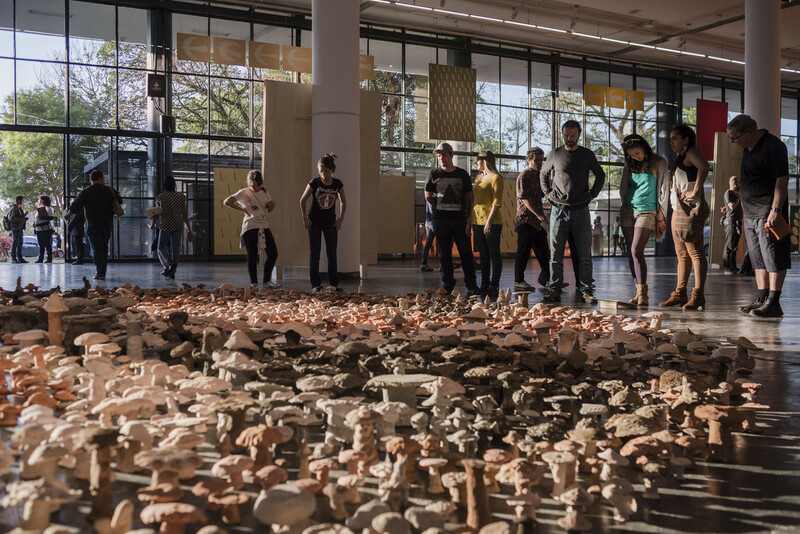 Since the reunification, especially after 2000, the German presence has increasingly mirrored the rise of Berlin as a vital and quirky art capital with increasing international charisma and draw. 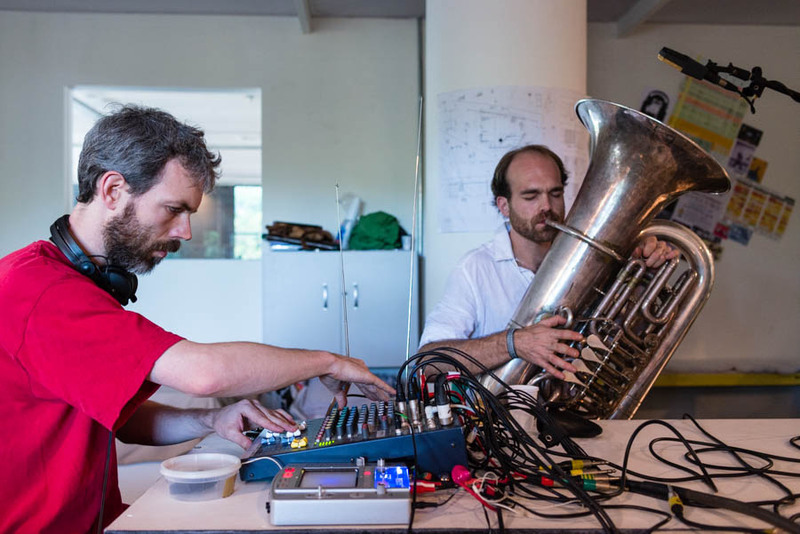 The General Commissioners of the Biennial often invited Berlin artists directly to take part. In 2006, for the 27. Edition, Biennial curator Lisette Lagnado decided to implement a radical new orientation for the show. Most significantly she abolished the system of national commissioners. This was the end of an era for Germany’s 50 year history of state sanctioned‚cultural ambassadors’. 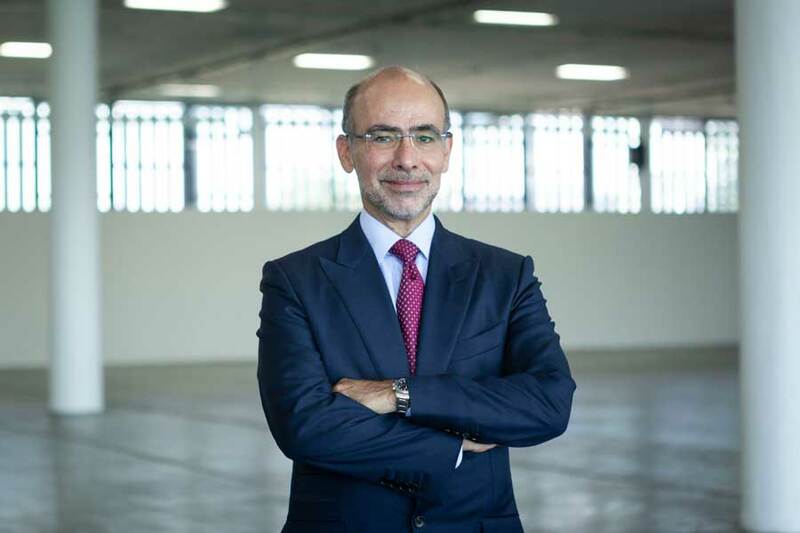 All the same the interest in Sao Paulo for the German art scene has remained strong. 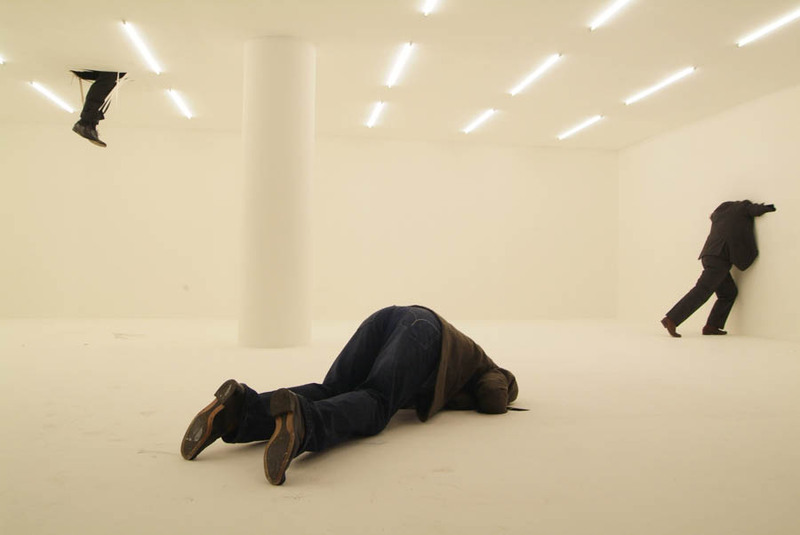 Monica Bonvicini, No head man, Performance, 2006. 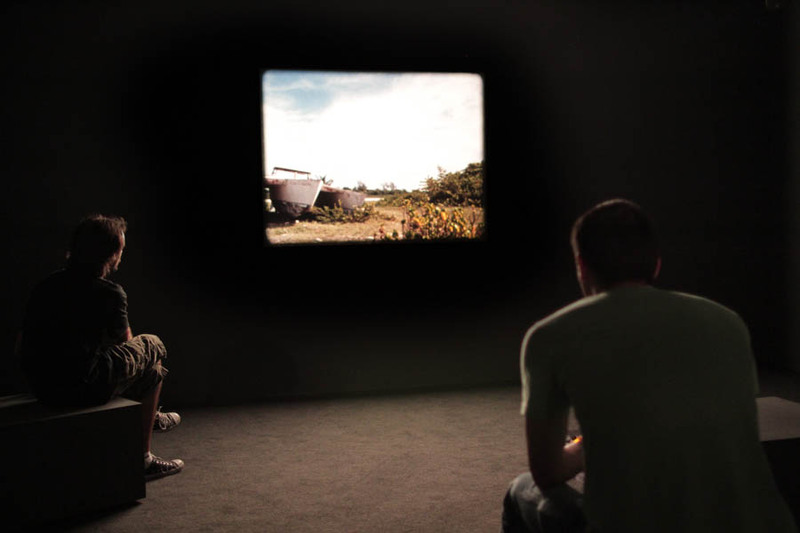 27th Bienal (2006). © Juan Guerra. 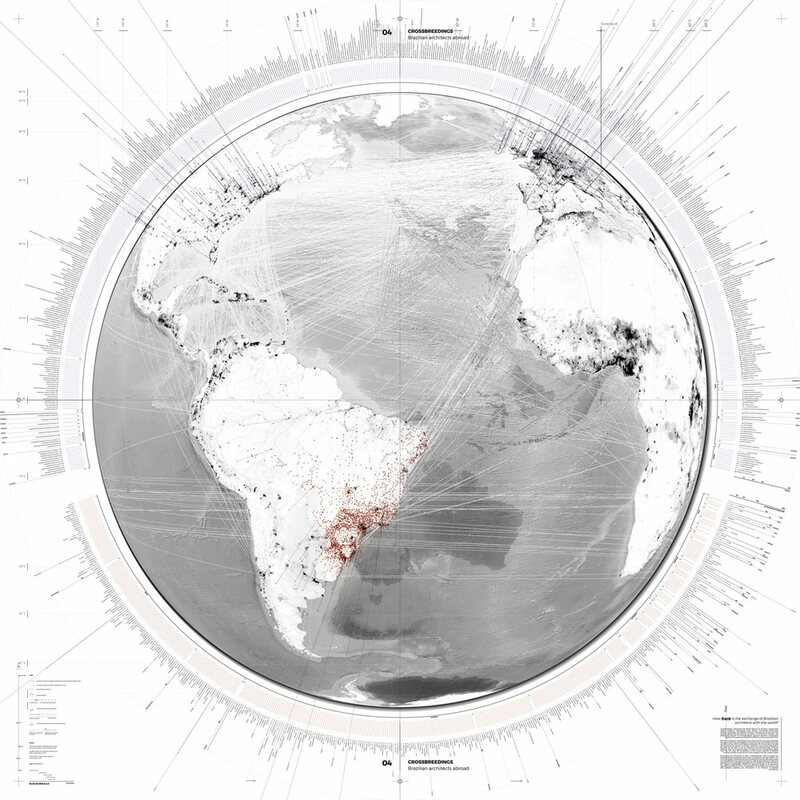 In 2010 the curators Moacir dos Anjos und Agnaldo Farias invited as many contributors from Germany as last seen during the 1950ies. 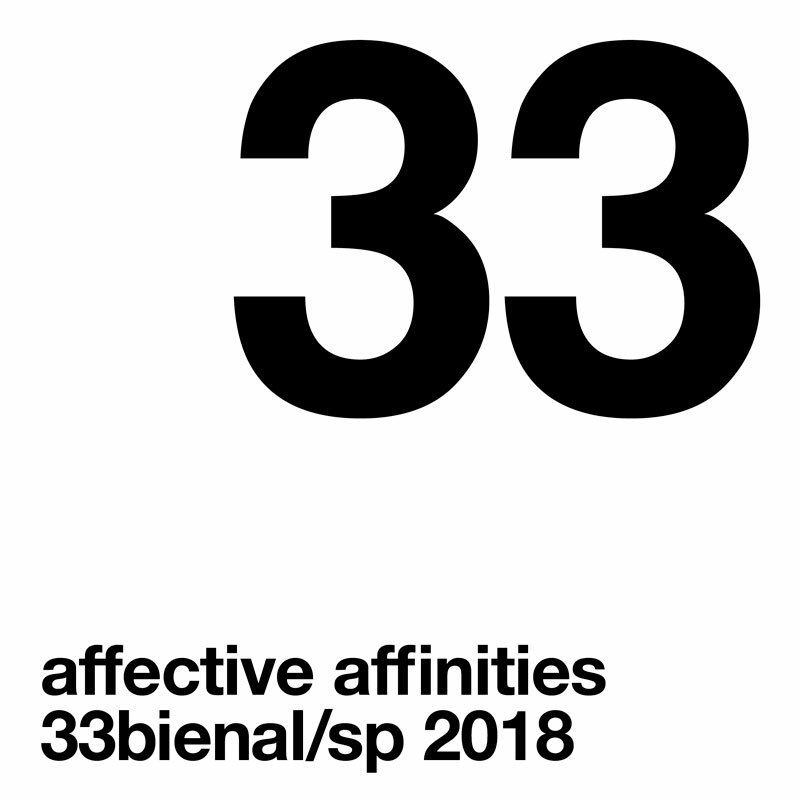 14 out of 161 exhibited artists had their domicile in Berlin, whereas only three of them had a German passport. This is also a sign of the increasing globalisation and interlacing of the art scene. 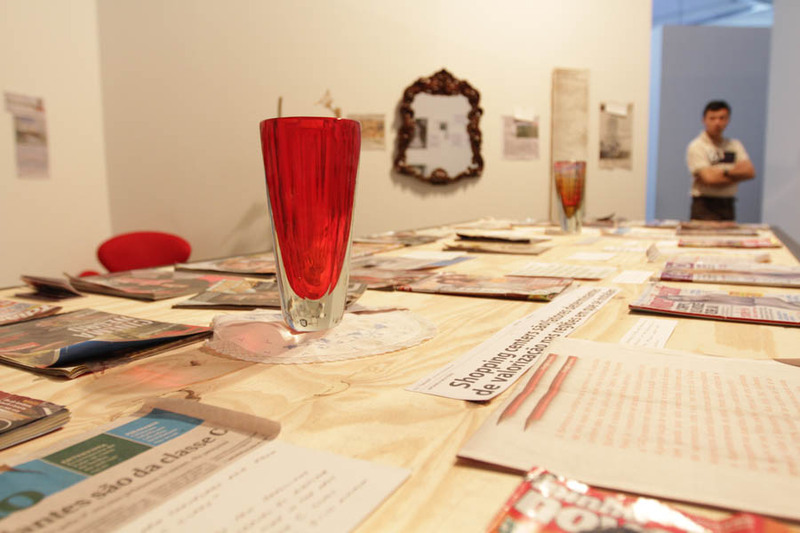 In 2012 even more German based artists were invited by curator Luis Pérez-Oramas. However the German art scene is not heavily represented at this year’s Biennial. Biennials are not arenas of the nations. There was a reason why Sao Paulo bid goodbye to the concept of national entries in 2006. Only Venice still holds on to this. Our review of the history of the second oldest global art show in the world might also give an indication of what the Biennial might be in the future. 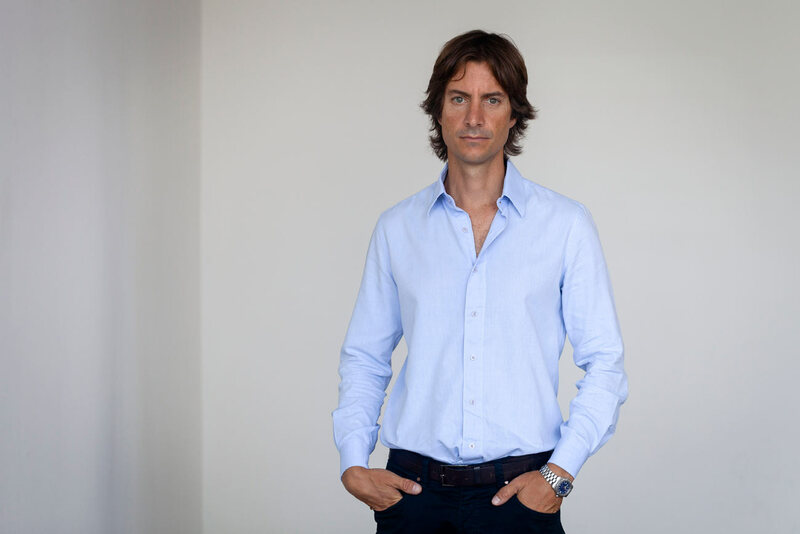 Sebastian Preuss is art historian and critic. 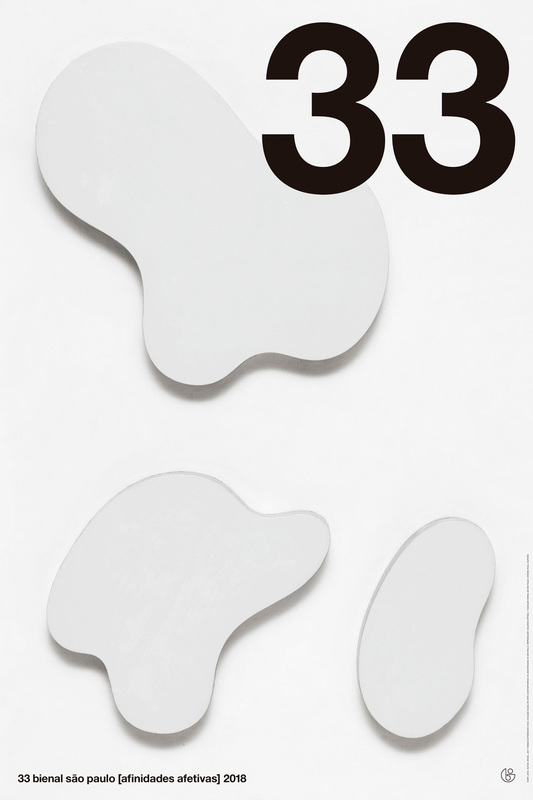 Since 2012 deputy editor-in-chief of the art magazine Welkunst in Berlin.